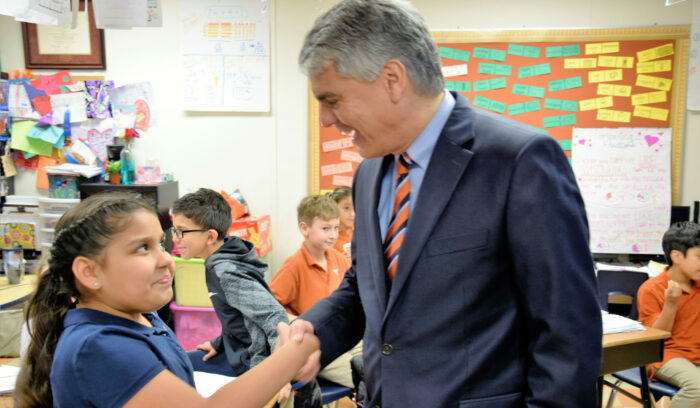 Welcome to The University of Texas Elementary School for the 2018-2019 school year! This handbook provides a reference for pertinent details regarding our school and questions you may have throughout the year. Our goal is to provide the best education possible in a warm, supportive, and safe school environment for each student. We invite you to become actively engaged in your child’s learning. We know that your involvement, combined with our excellent faculty and staff, will make this year a rewarding experience for your children.